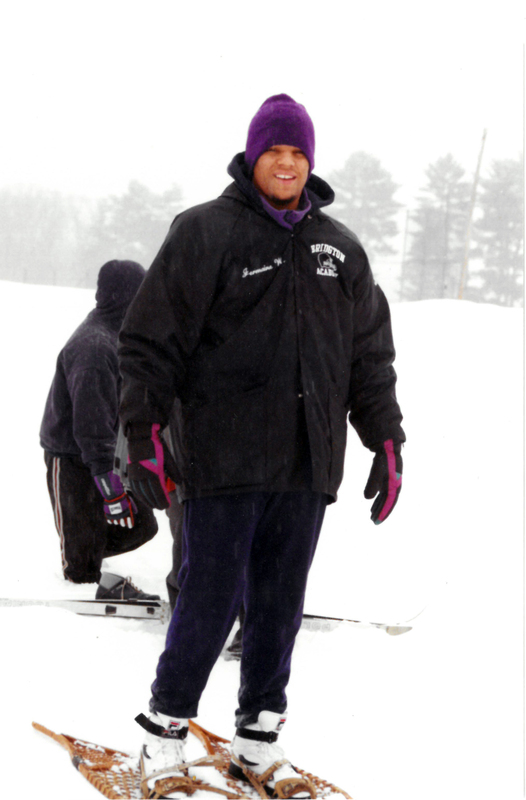 My time at Bridgton was incredible. As a kid coming from the inner city in Boston going to a rural area in Maine, it helped me think outside the box and see how much more is out there! I met great people from completely different walks of life. It was one of those experiences you look back and say “wow, that was really cool and unique.” It really prepared me for when I first got to college and had to fend for myself. Probably the dorm atmosphere. That is where you spend a lot of your time,hanging out with your friends and teammates. It gave me a chance to meet new kids from all different parts of the country. It was fun to go from room to room, play video games, hang out and experience different people, cultures and music. Bridgton Academy is a springboard for getting ready for college. And when you get to college, getting used to dorm life and being on your own is one of the biggest adjustments. Bridgton really helped me prepare for it. What was your biggest challenge at the Academy? Getting used to being in a completely different environment and adjusting to a new lifestyle. I came from the inner city. There was always so much happening. If I wanted a slice of pizza at 11 at night, I could just walk down to the local pizzeria. And when I got to Bridgton, it was completely different, like I was stuck in the middle of nowhere. You can’t just go out the door, walk down the street and go to the corner store. That was a big challenge for me, but a good challenge. Do you have advice for departing students and incoming students? For the guys on their way out, they’re going to be well prepared for their next adventure in life. Going to college and understanding what it means to do things on their own. They’ve seen what it’s like and they’re ahead of the curve. That is going to be a huge advantage! For kids coming in, just enjoy the experience. Soak it all in. Take advantage of every opportunity you are going to have. As you get this extra year to prepare yourself, leave no stone unturned. And make sure you are doing everything possible to utilize this year to give you the tools you’re going to need so that when you move on you’ll be in a position where things will be much easier for you.